Whether for residential or commercial real estate, when it comes down to the law of real estate, things can quickly get confusing and overwhelming. To avoid any undue stress or pressure during an exciting home purchase or commercial property transaction, consider hiring a credible Real Estate Lawyer in Scio Township you can trust to help guide you through the process. When you are in search of a Real Estate Attorney in Scio Township, Michigan, turn to the Law Offices of Jackson Eaton-Gordon & Associates, PLLC. The average real estate transaction tends to be quite cut and dry, and doesn't require legal assistance unless it's state mandated. However, in the case that a legal issue may arise, it's best to get a Scio Township law firm involved that specializes in real estate law. Making judgments on legal questions is always best suited for an expert real estate attorney rather than a realtor. For over 118 years, Jackson Eaton-Gordon & Associates, PLLC been known to be an expert in Scio Township Real Estate Law for homeowners, renters, landlords, home buyers and home sellers. Call (517) 234-1981 to speak to a Scio Township Real Estate Attorney today. Are you a first time home buyer? Are you a commercial developer looking to purchase a plot of land for your next construction project? Whatever your needs, it is our job and our duty to protect the best interest of each of our valued clients while ensuring that the entire real estate process is legal and valid. 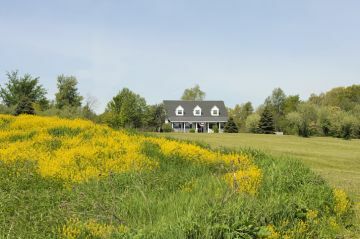 From reviewing property or land transaction and title history to ensure said property or land can in fact be sold, to discussing mortgage options and reviewing the contract of sale to ensure it is fair to all parties, Jackson Eaton-Gordon & Associates, PLLC are knowledgeable and well-versed in all practices pertaining to Real Estate Law in Scio Township. Jackson Eaton-Gordon & Associates, PLLC promises to take care of all details involved in your residential or commercial property or land transaction.